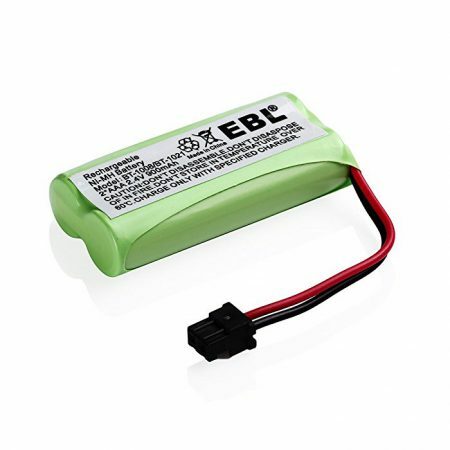 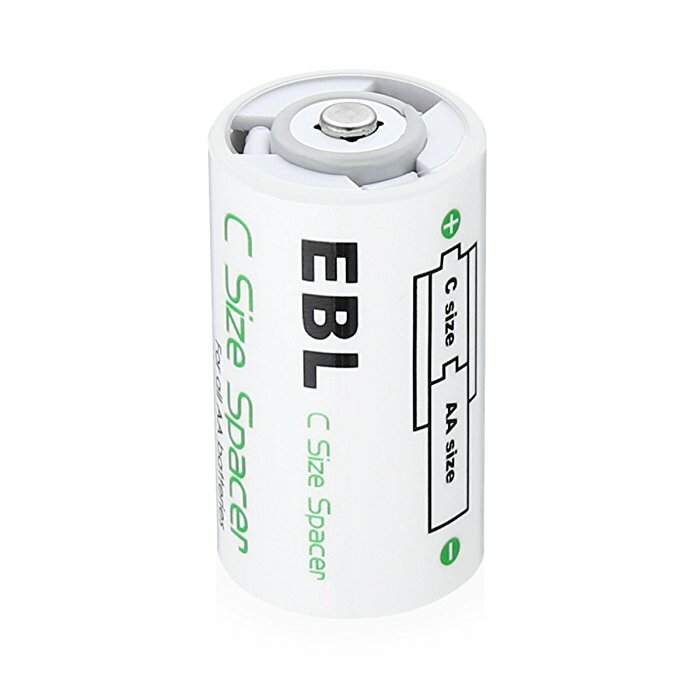 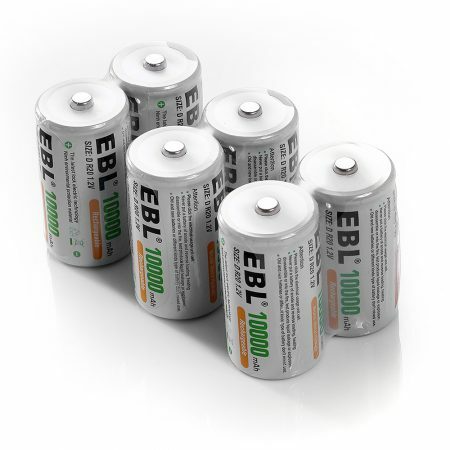 EBL C size spacers are solidly built with well-organized space for AA batteries to fit in. 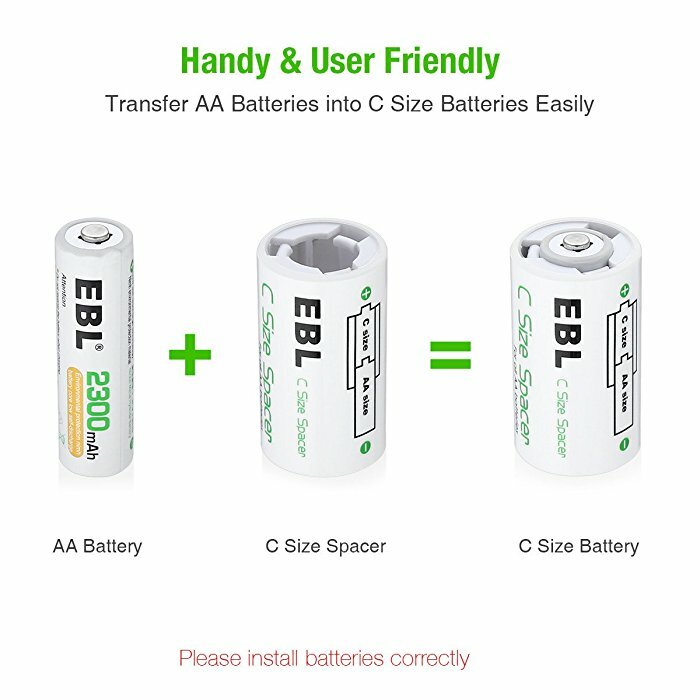 The C size spacers effectively turn your AA batteries into C battery cells. 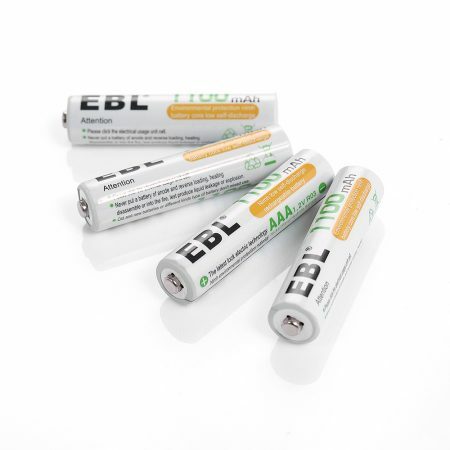 Made of durable ABS plastic, the spacers provide protection for your AA batteries from scratches and scrapes. 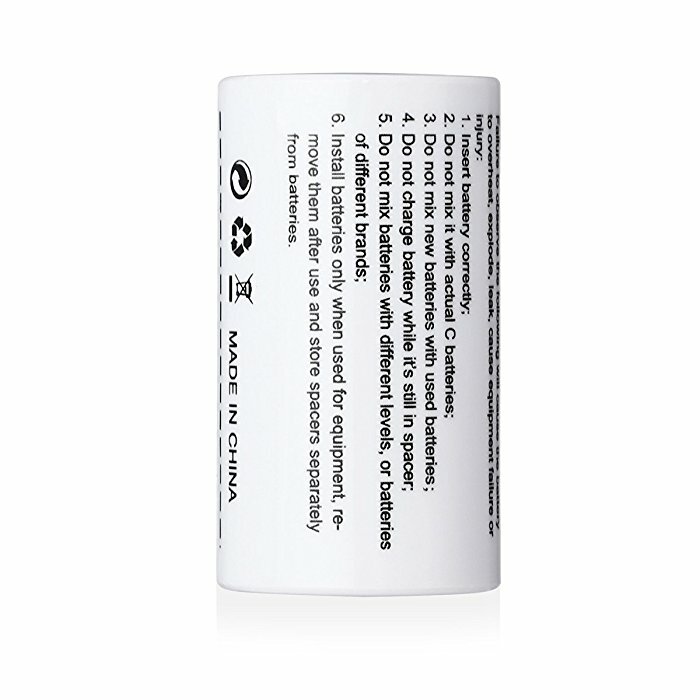 The C cell spacer design is a great extender for your rechargeable AA batteries. 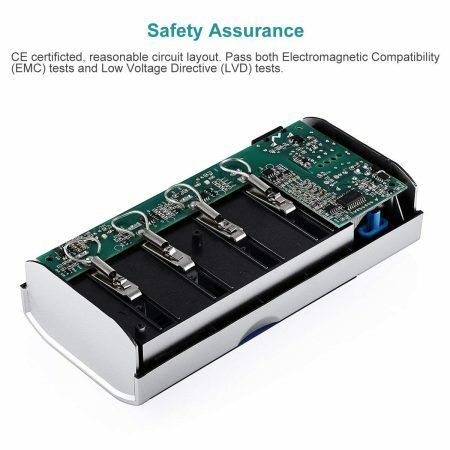 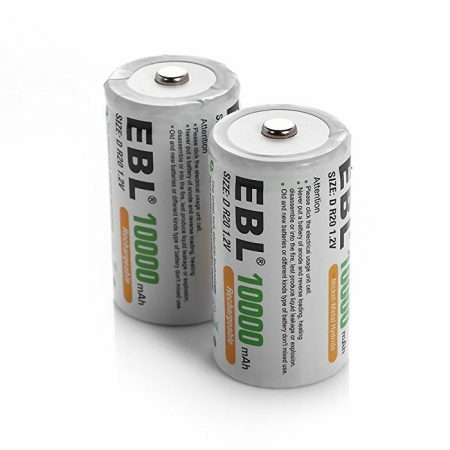 It’s compatible with all AA Ni-MH, Ni-CD, alkaline rechargeable batteries. 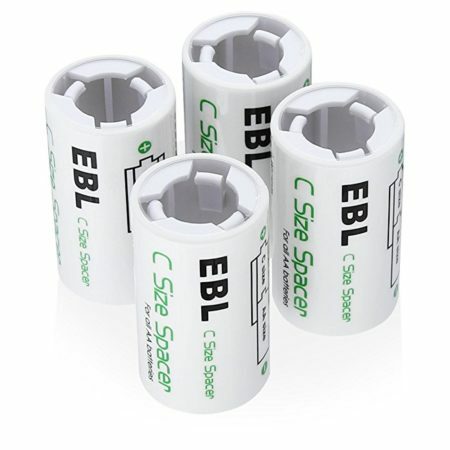 These 4 pack C battery spacers allow you to turn all sorts of AA batteries into a C battery for high drain devices. 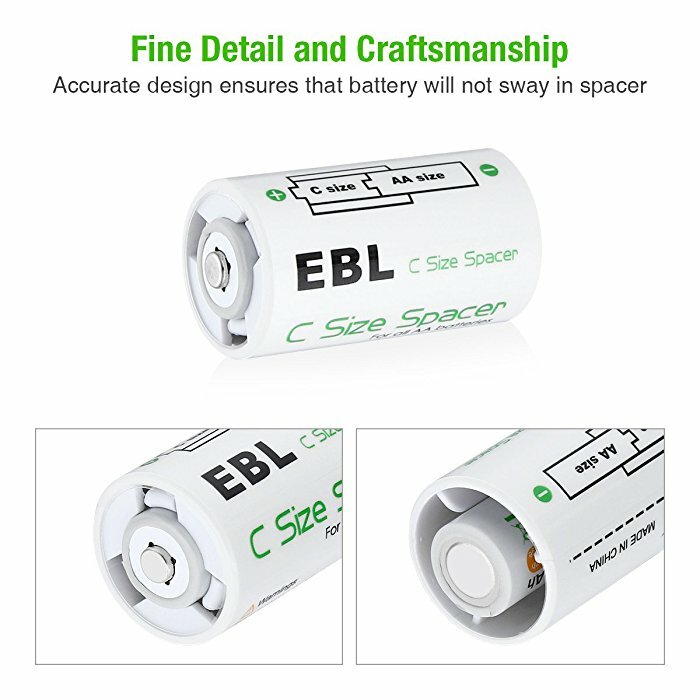 The C size spacers are finely designed with smooth edges and surface for AA batteries to fit in without any scratch or scrape. 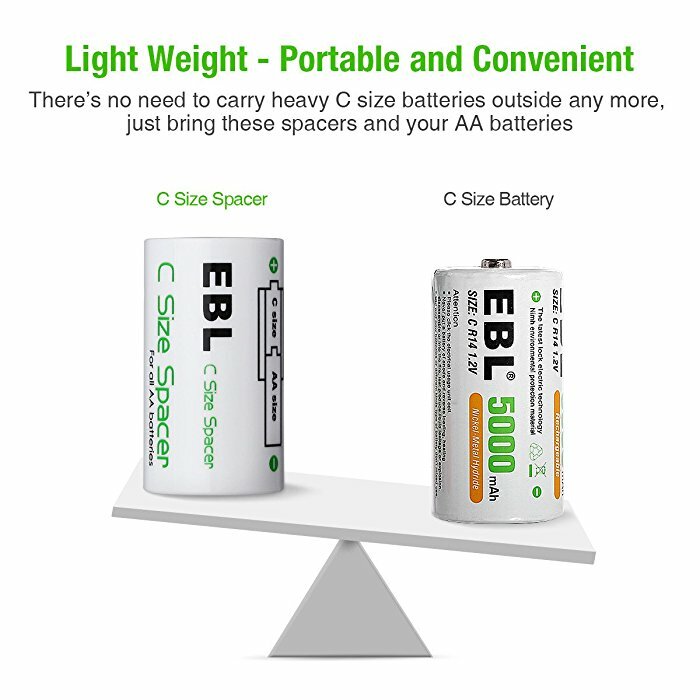 The AA to C size battery adapters are made to be compact, light and portable for conveniences. 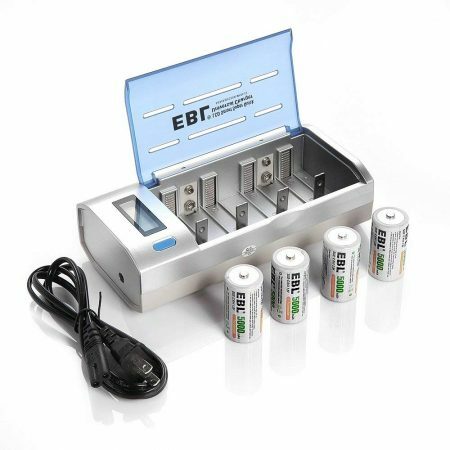 These EBL C size battery spacers require very simple steps to turn your AA batteries into a C cell to use. 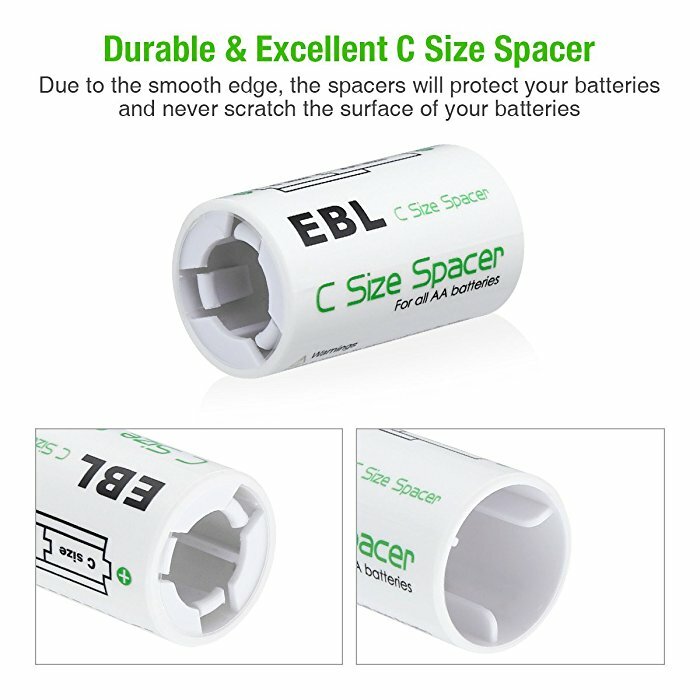 Put your AA batteries into the spacers and use them as a C battery for your devices. 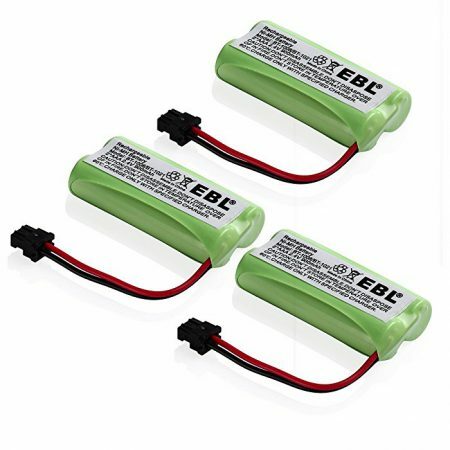 Package: 4 Pack C size spacers (batteries not included).